Dr. Elizabeth Caldwell, specializing in Diagnostic Radiology and Neuroradiology, graduated from the University of Mississippi School of Medicine. She completed her residency at the Baylor University Medical Center, which was followed by a fellowship program at the University of Alabama Medical Center. With a medical practice of over 20 years, Dr. Caldwell has vast experience in diagnosing numerous types of cancer and respiratory conditions, including laryngeal cancer, asbestosis, pleural plaques and lung cancer. 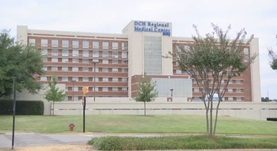 At the time, Dr. Elizabeth Caldwell is affiliated with the DCH Regional Medical Center in Alabama and she accepts various insurance plans, such as Cigna, Aetna, Medicaid and UnitedHealthcare.